After the longest ever shutdown ends, the normalcy is returning to the United States. 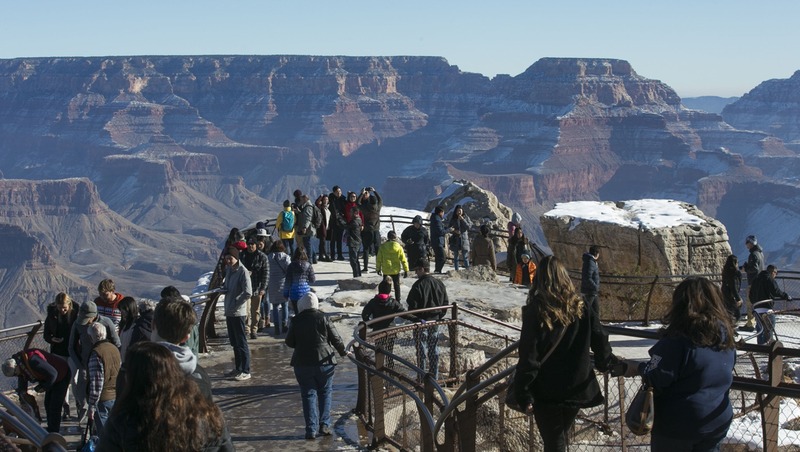 The Grand Canyon national park has resumed its normal operation, and the park officials are gearing up to start the tasks needed. As per officials, visitor centers and permit offices will reopen, and collection of fees will resume in the coming week, though all services such as ranger programs won’t be available immediately. The park has opened with limited services available under the funding by the State of Arizona and Grand Canyon Conservancy. However, the last February Governor Doug Ducey signed an executive order which will keep the Canyon open for visitors even during shutdowns. It should be reported here that the services rendered by not only the Government but also park concessioners and non-government partners remained open during the shutdown. “Grand Canyon National Park appreciates the partnerships we have with Governor Ducey, the State of Arizona, Arizona State Parks and Trails, Grand Canyon Conservancy, and the northern Arizona community,” Deputy Superintendent Lisa Carrico, said in a news release. “The protection of Grand Canyon’s natural and cultural resources is our shared responsibility and a commitment to every American, every visitor, every day,” Carrico continued. The news release states Grand Canyon National Park also plays a significant role in the national economy as it is returning more than $10 for every $1 invested. It also helps the local economy. As per the statistics of 2017, more than 6.2 million visitors spent nearly $667 million in communities near the park. And the spending in 2017 has supported 9,423 local jobs and had a cumulative benefit to the local economy of $938 million.